In this webinar, Byung Woo Kim, a fifth- year PhD candidate from the Division of Neuropathology at The Johns Hopkins School of Medicine, presented his findings on ChIP workflow optimization using the truChIP Chromatin Shearing Kit from Covaris. This webinar explores how the Covaris truXTRAC® FFPE kit, powered by Adaptive Focused Acoustics® (AFA®), enabled OmniSeq, Inc., a CAP accredited molecular diagnostic laboratory, to improve overall comprehensive molecular and immune profiling of patient tumors using a novel process for automated DNA and RNA extraction. Please note: SonoLab 8.4 requires updated firmware to be installed by Covaris Technical Support. Also, this version of SonoLab requires that your system has an RFID scanner installed. If your instrument does not, or you are unsure, please contact techsupport@covaris.com. An extraction process that reliably produces sufficient DNA yield and fragment sizes from precious FFPE samples is a necessity for any molecular pathology laboratory. Learn how Covaris can provide the solution by clicking below. 2018 was the year of Automation for Covaris as you adopted our newest automation friendly platforms including the LE220-plus and the oneTUBE consumables. 2019 will be the year of high-throughput automation. We are further developing novel sample preparation solutions for automated, simplified, high-throughput workflows. Applications include faster automated DNA fragmentation, cell lysis, mixing, bead mixing, compound management and more! Why Visit Covaris During SLAS 2019? Description: ARUP Laboratories has developed and designed a unique customized workcell for performing clinical Next Generation Sequencing (NGS) diagnostic testing. 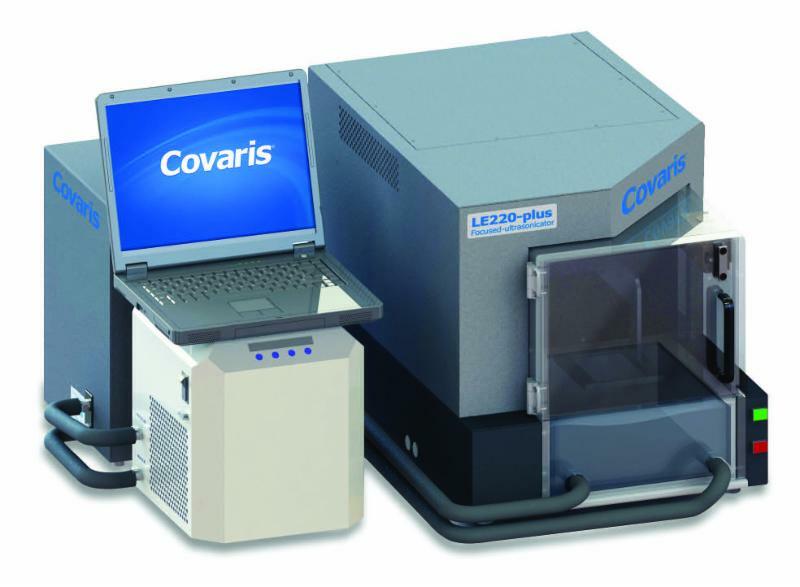 In order to generate consistent DNA fragmentation of a wide variety of samples and sample types, the Covaris LE220R-plus Focused-ultrasonicator was integrated using collaborative robotics and customized integration components. In this presentation, we focus on the integration of the Covaris LE220R-plus, the challenges that were encountered, and the innovative solutions designed in order to bring the workcell from concept to reality.